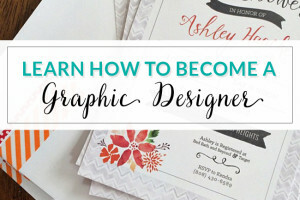 Typically I share printables that are meant to make your life easier. Today I’m putting those on pause to share a mom hack that will make you a ninja! Okay, maybe not a ninja, but it will make errands with kids easier! 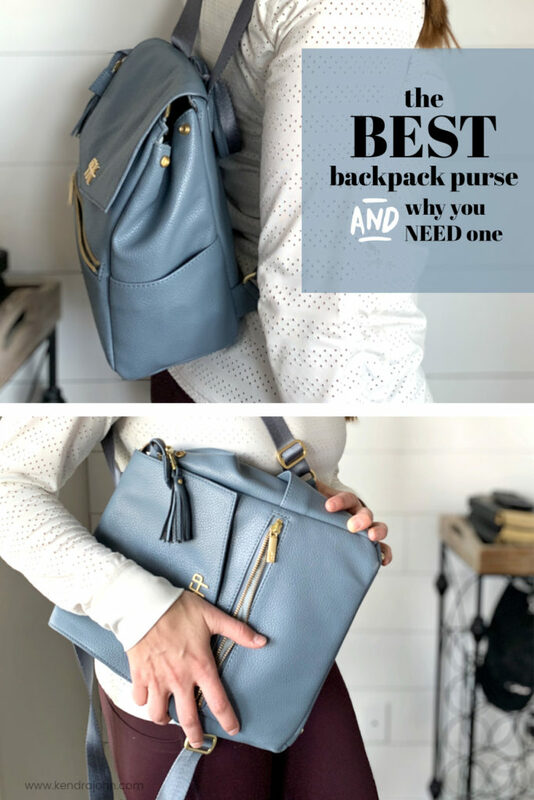 I recently ditched my shoulder purse and bought a backpack purse and I LOVE IT for about a hundred and seven reasons. I can’t get over how much it frees up my hands. 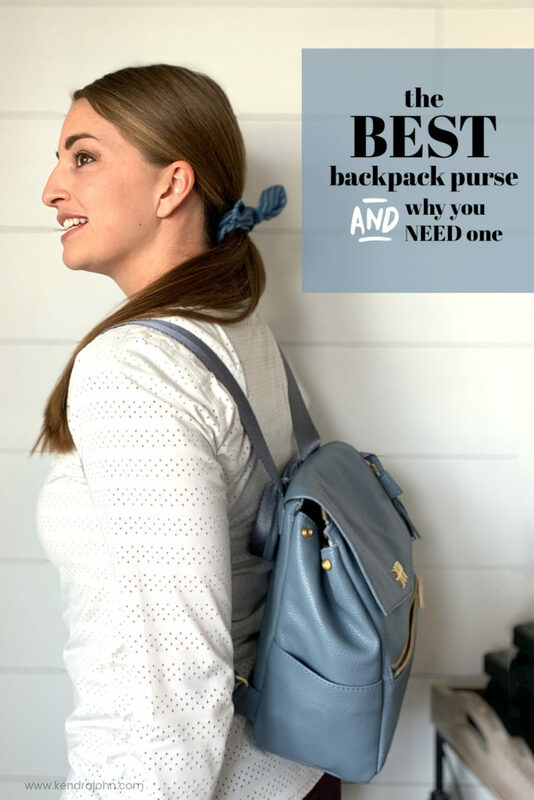 It’s so much easier to help my kids, buckle their carseats, do self-checkout at Target, and multitask without having to balance a shoulder purse! I wish I had switched to a backpack purse a long time ago! The backpack I got is from Freshly Picked. A company I have loved ever since I saw the CEO slay it on Shark Tank in 2014. The links for Freshly Picked are affiliate links. That means if you decide to click or purchase through the links you help support my business at no extra cost to you. Thank you! Freshly Picked has two sizes of backpack purses. Classic and Mini. 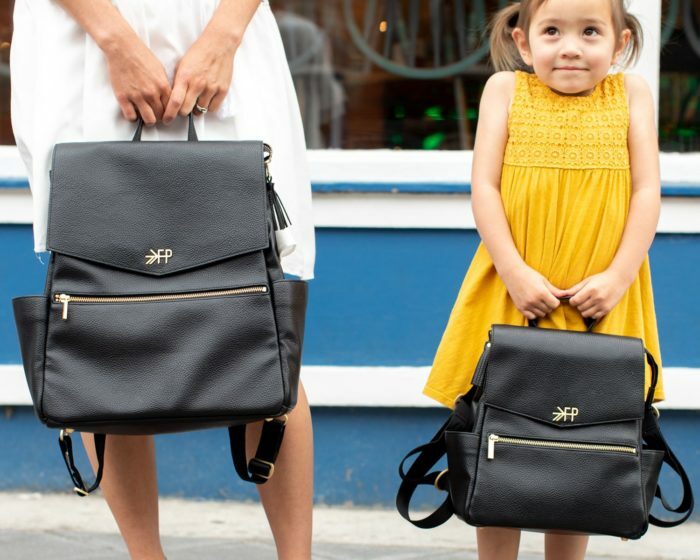 Okay well technically they are labeled as a “diaper bag” on the site…. 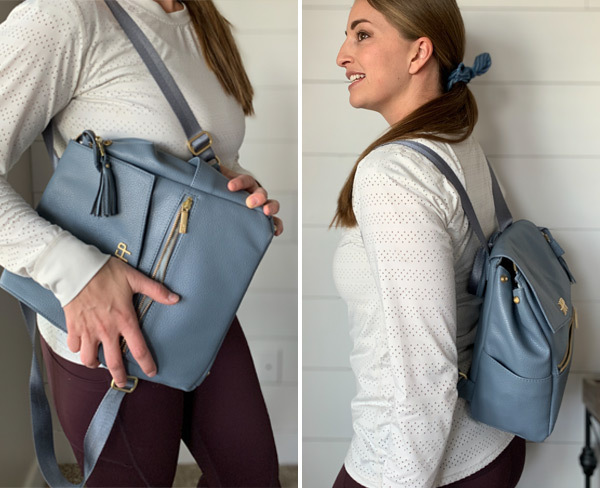 But, you don’t have to have a baby on your hip to have a gorgeous and functional bag! I’m perfectly content calling this a purse. I opted for Mini because my kids are older (9, 5, and 3) and I don’t need to carry as much for them. The Mini fits everything I need. One thought on the Mini size – The Mini has the perfect amount of space inside but because it’s “mini” the straps are also a little shorter. I wear mine all the way extended – and it’s perfect. But if you have wider shoulders or would like the backpack to hang lower on your back the straps might not be as long as you would like. Just a thought to consider when picking a size. I want to make sure I’m giving you all the details! Here’s the secret to shopping Freshly Picked – Join the Fringe Club! What’s a Fringe Membership? It’s basically like a Freshly Picked savings account. And it will save you so much money! Each month you pay $10 and it turns into $10 in store credit. The credit never expires and cancel at any time. “Fringe Friday” – extra discounts on certain items each week. If you still have questions you can watch this FAQ Video. But come back here to get the bonus discount code! Extra Secret Sauce: When you join the Fringe use the code “FMOKendraJ” at checkout and get an extra $5 credit added to your Freshly Picked account. Yep, that’s like me handing you a $5 bill! *Heads up – the $5 is applied manually by customer service so give it a couple of days to show up! Go to Freshly Picked and sign up for the Fringe club – use code “FMOKendraJ” then checkout. Your total will be $10. Now you can login to your Freshly Picked account – everything will show the 20% off price. 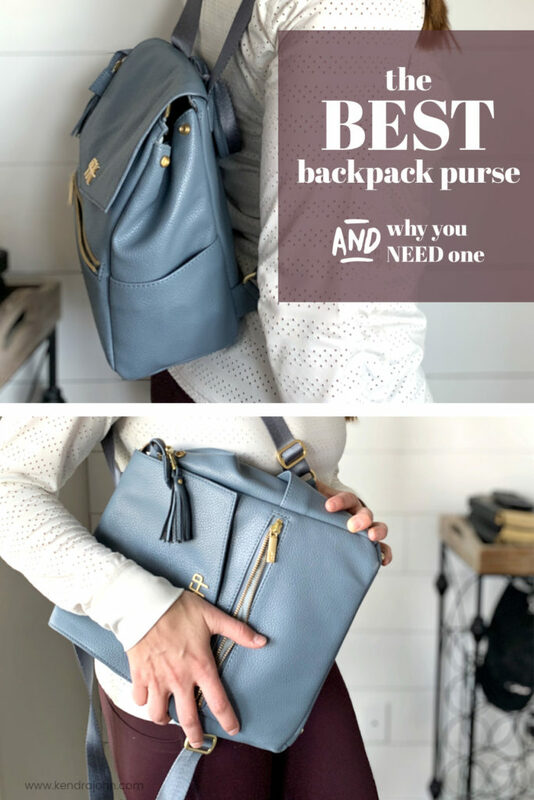 BOTTOM LINE – You need a backpack purse! Life hack. 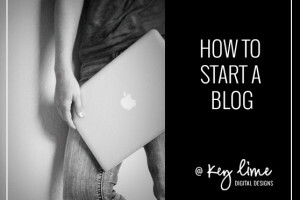 The links for Freshly Picked are affiliate links. That means if you decide to click or purchase through the links you help support my business at no extra cost to you. Thank!